Yeah boi … Ok everyboy kno i dont really care for Young Money AT ALL. 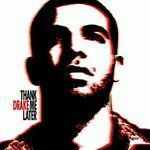 But Drake hmmm he changed my mind with this cd. I mean this cd is hot. Sounds familiar though like i herd it before. This cd really reminds me of Kanye West’s 808 & HeartBreak wit WAY less auto tune. I aint expect drake to sing this much but it compliments the songs very well. Alot of the production is from 40 and other are here to like Kanye,Boi- 1da, and Timaland to name a few. The tracks stand out from one another … i kinda think this is a RnB album more than Rap. There are some hard songs like “Up All Night” , “over” and “unforgettable”. But ovural this IS A GREAT ALBUM.